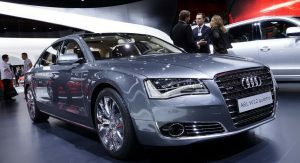 Audi has chosen the 64th Frankfurt Motor Show to present two new versions of its A8 large luxury sedan as well as the brand-new 4.0 TFSI engine which will power the “S”-badged versions of its line-up. 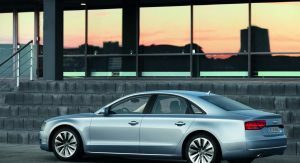 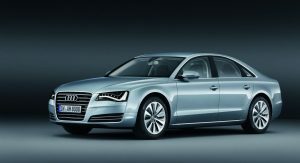 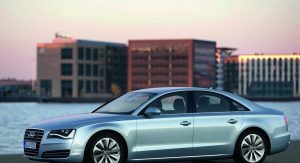 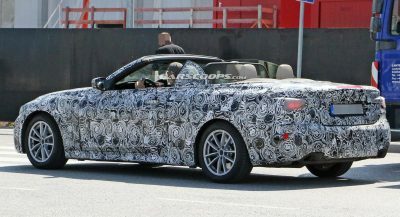 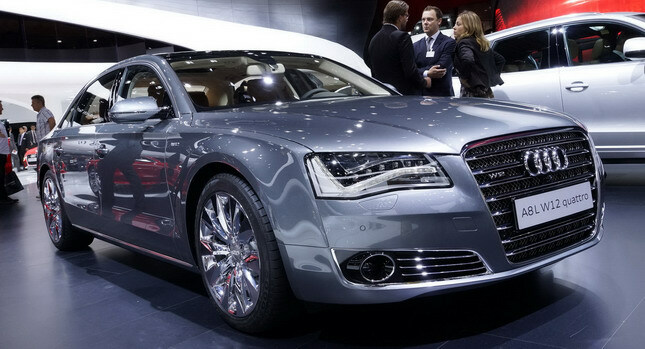 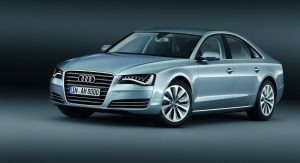 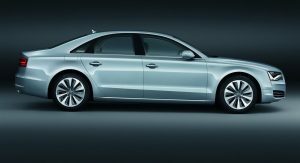 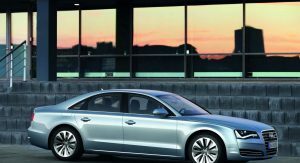 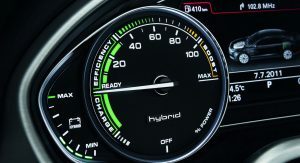 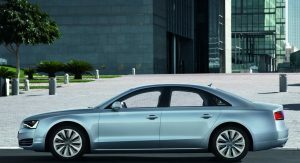 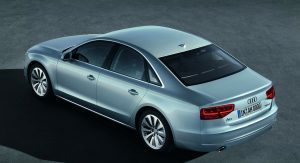 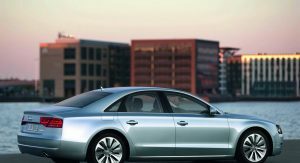 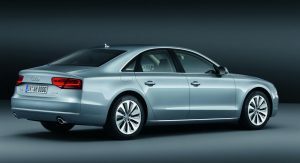 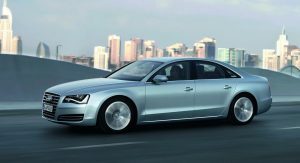 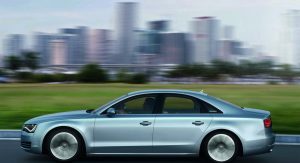 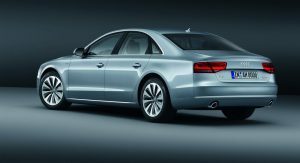 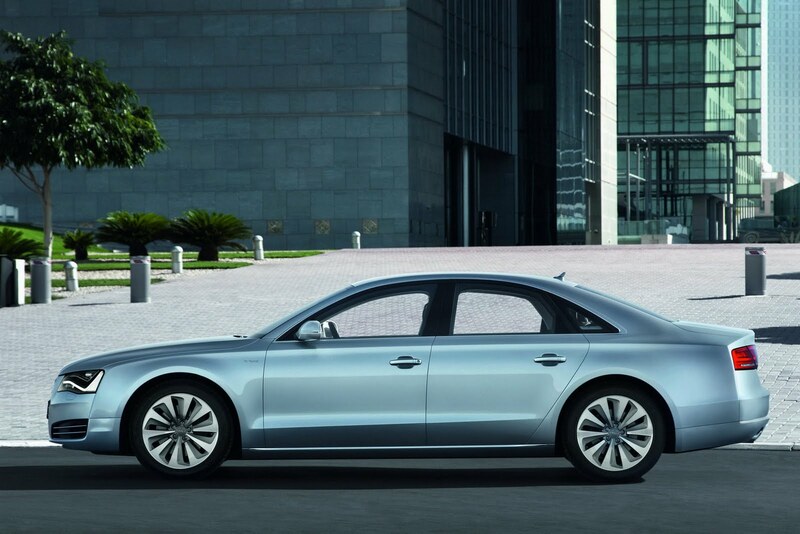 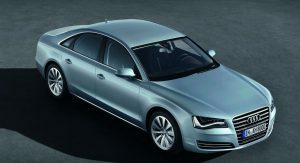 The A8 Hybrid will go on sale on 2012 and unusually for such a big car, it features a relatively small-capacity four-cylinder gasoline engine coupled to a hybrid system. 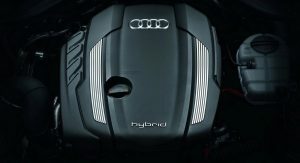 In reality, the A8 Hybrid is anything but underpowered: The 2.0-liter TFSI and the electric motor develop a combined output of 245 HP and 480 Nm (345.03 lb-ft) of torque for short periods of time. 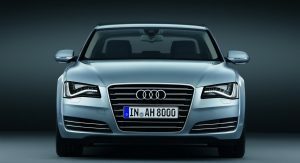 Using its two motors that are mounted one behind the other the A8 Hybrid accelerates to 0-100 km/h (0-62 mph) in 7.7 seconds and reaches a top speed of 235 km/h (146 mph). 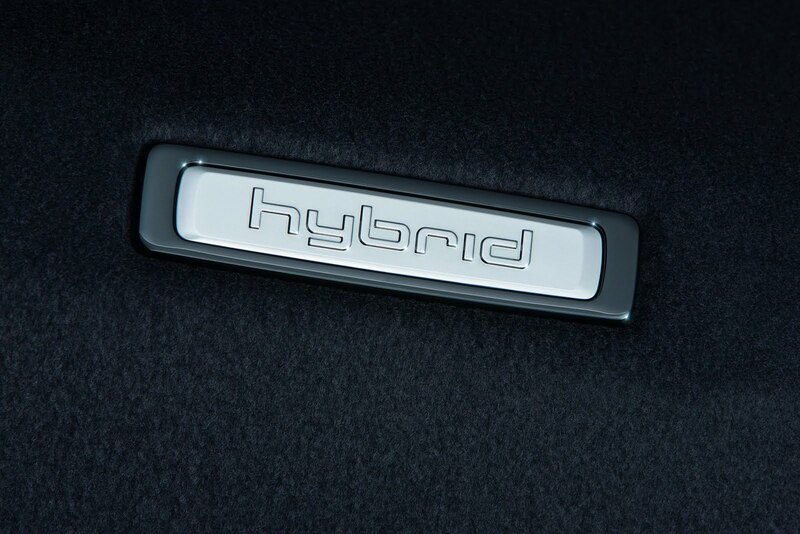 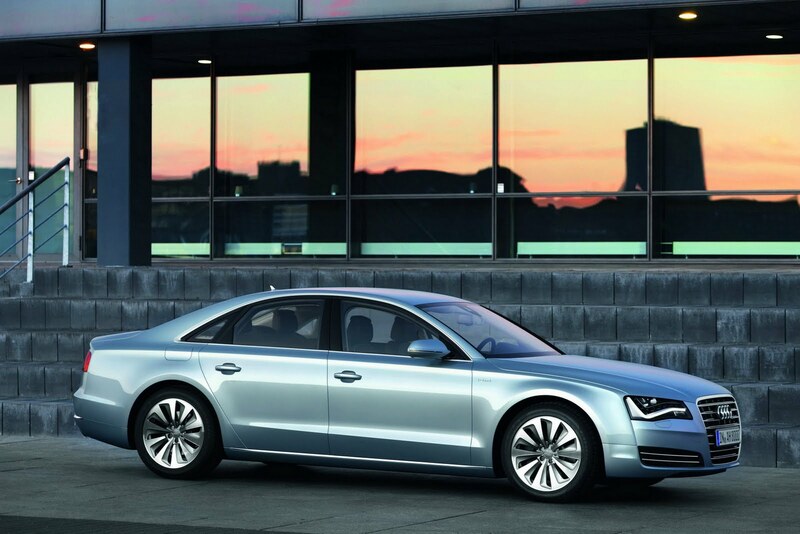 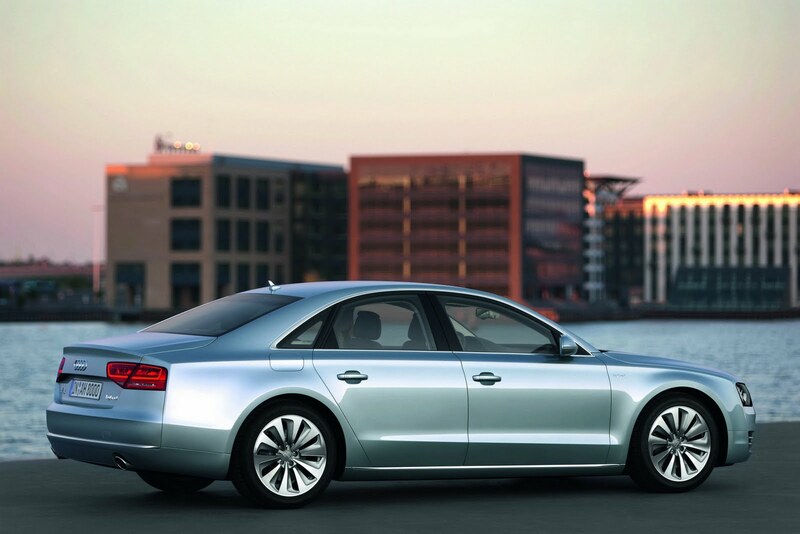 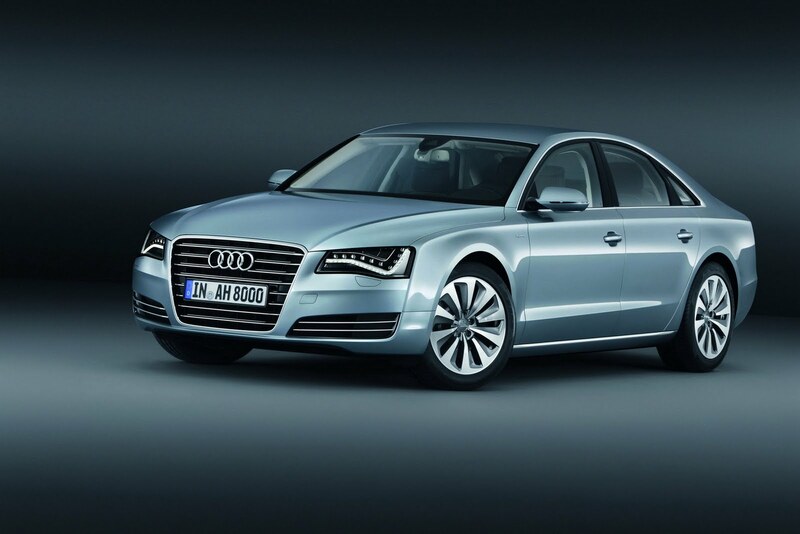 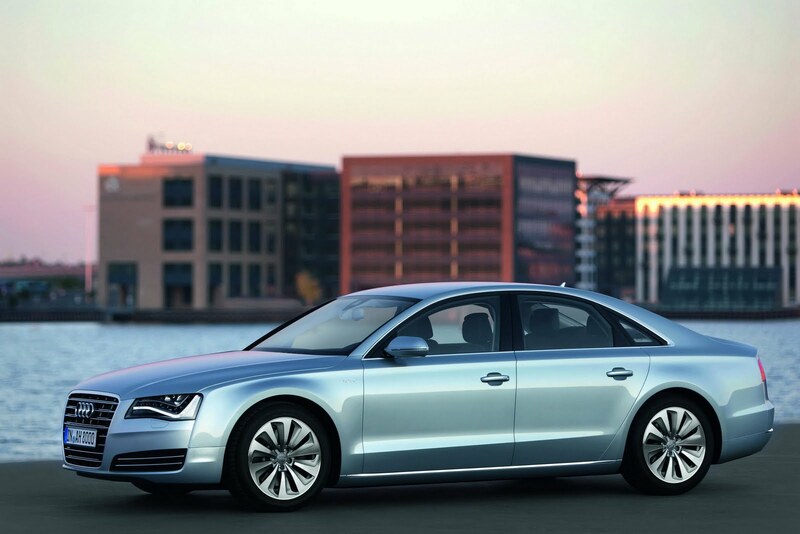 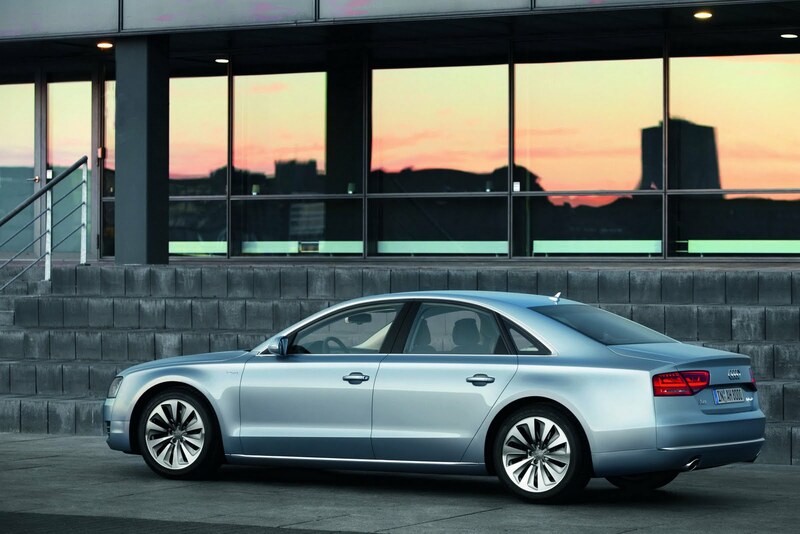 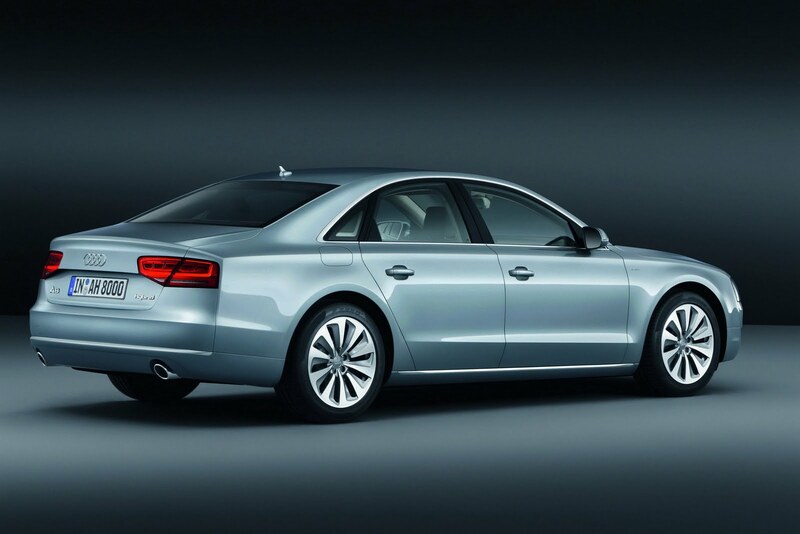 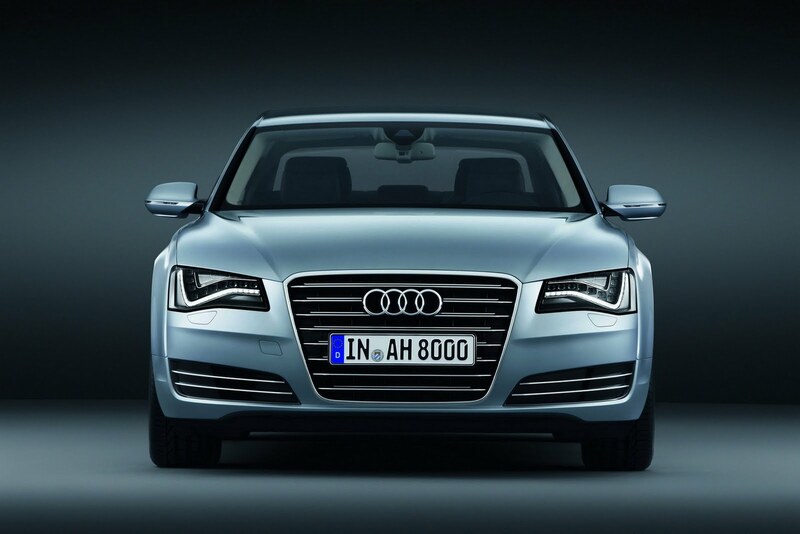 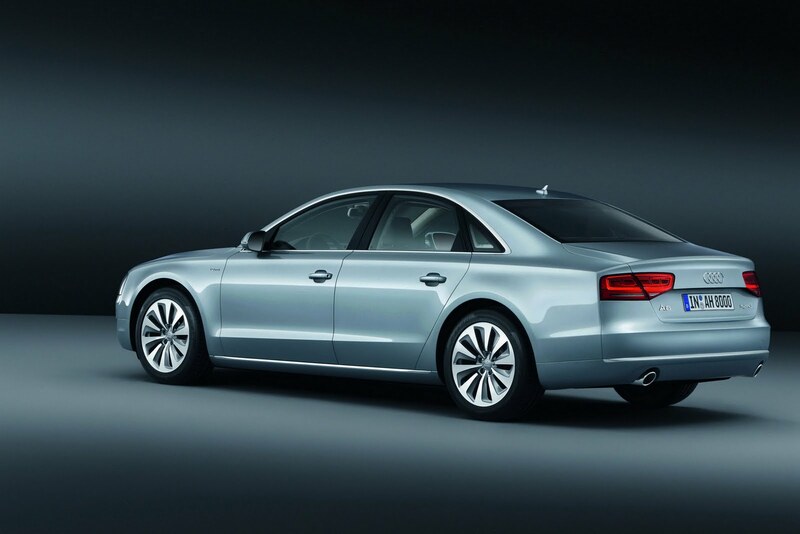 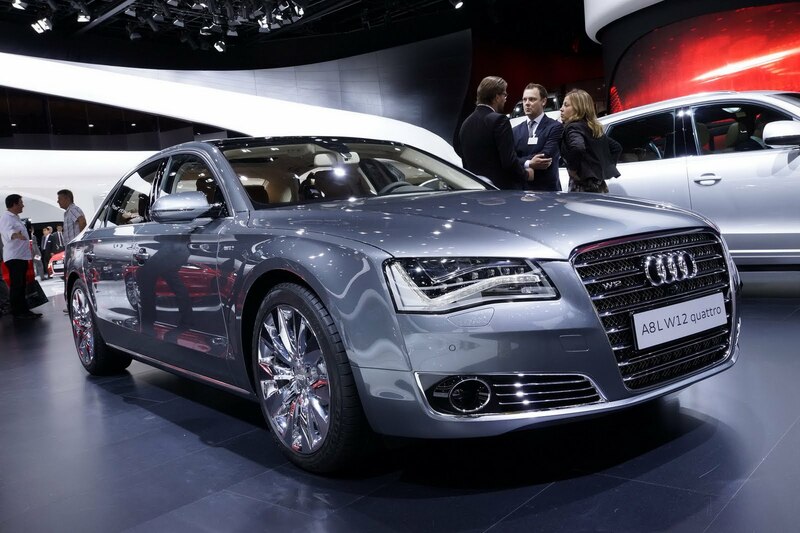 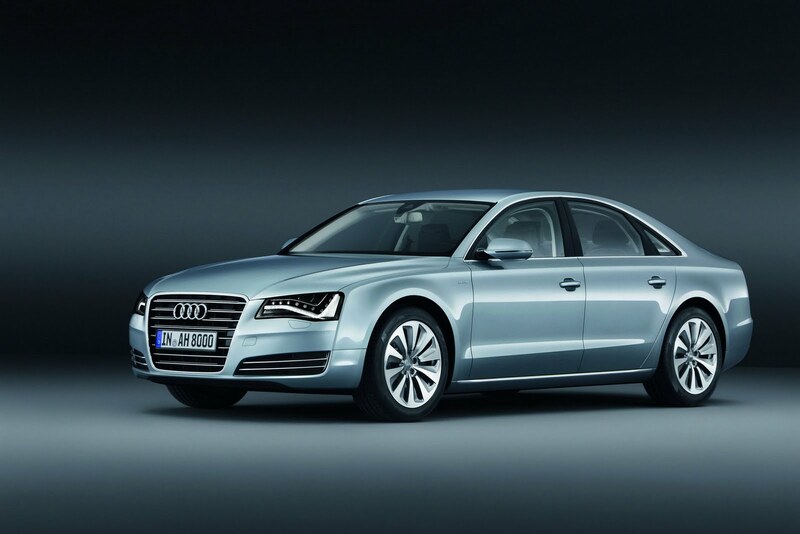 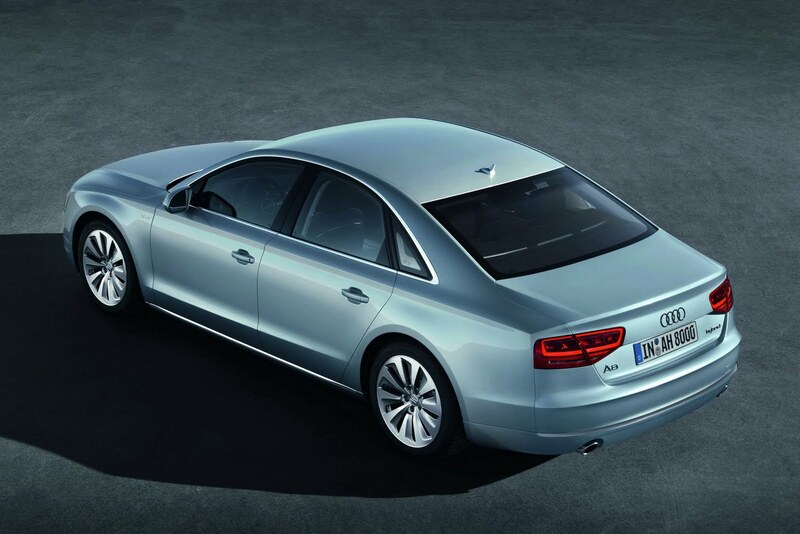 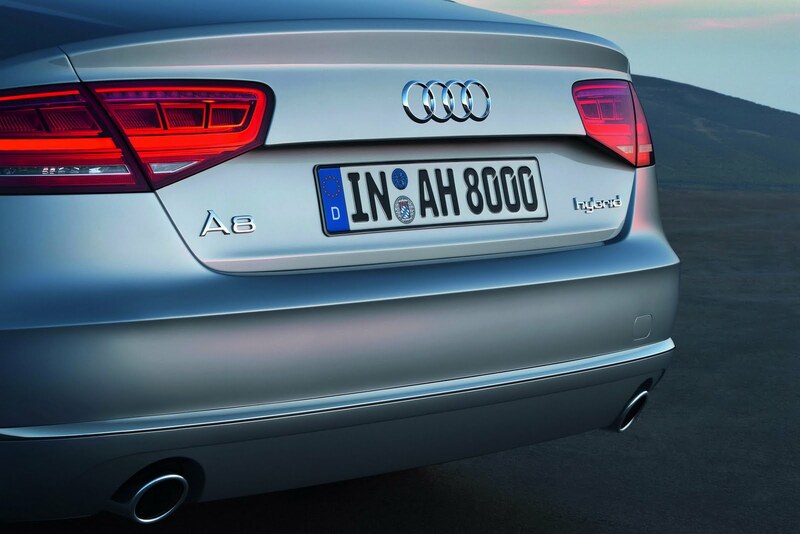 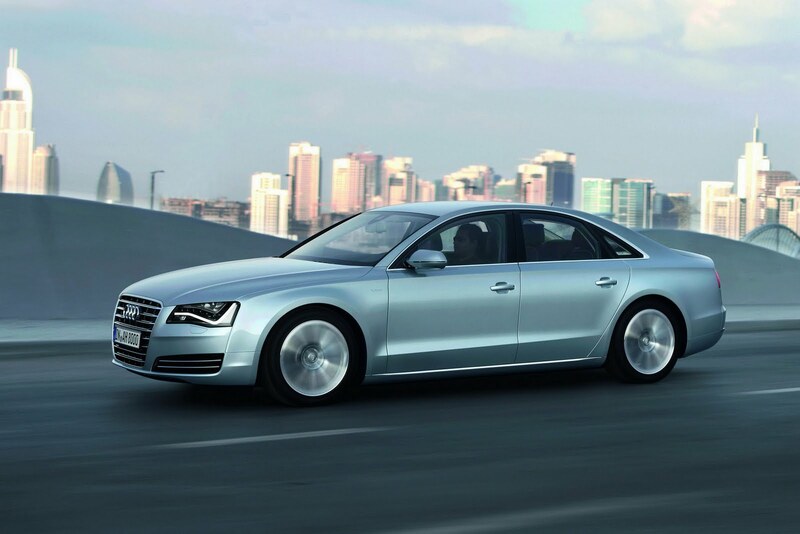 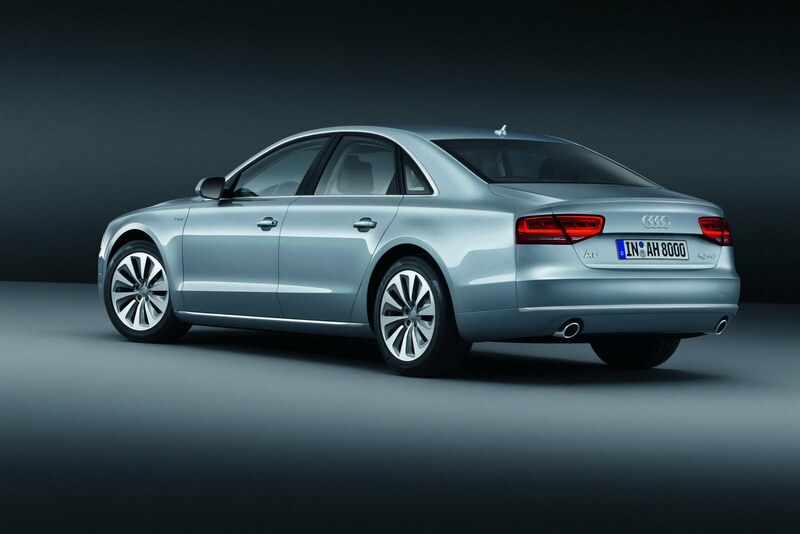 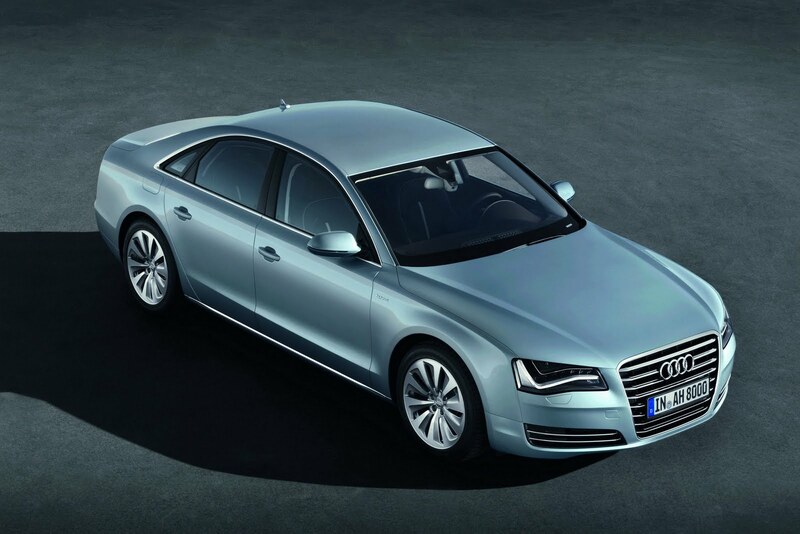 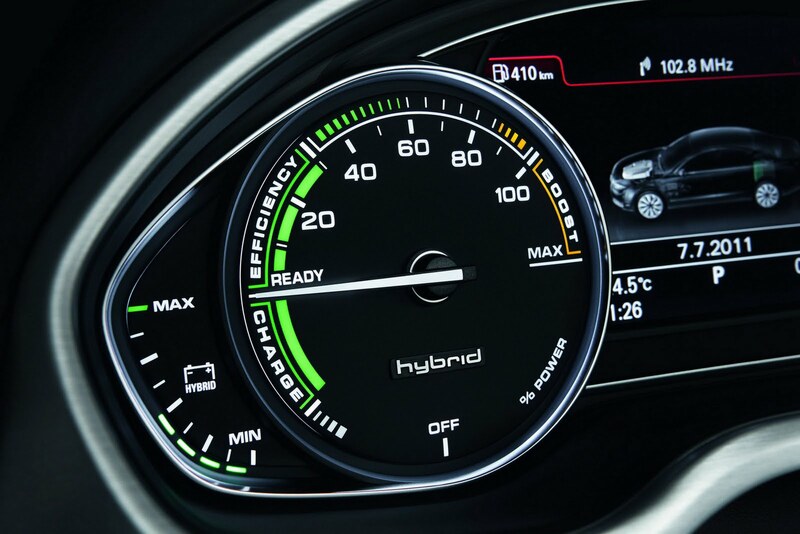 Unlike other hybrids, the A8 can travel up to speeds of 100 km/h (62 mph) on electric power alone. 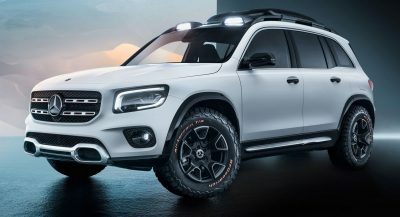 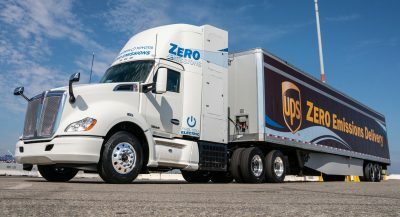 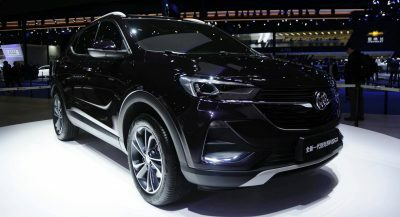 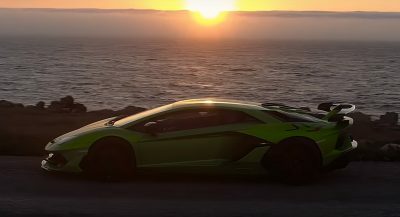 It can also run for 3 km (1.8 miles) with zero emissions at a constant speed of 60 km/h (37 mph) and its average consumption is less than 6.4 lt/100 km (36.75 mpg) while its CO2 emissions fall below 148 g/km. 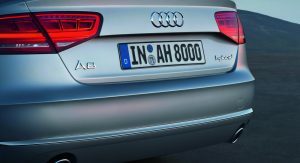 The second version of the A8 displayed at the IAA is a limited edition named “Audi exclusive concept”, of which only 50 cars will be produced. 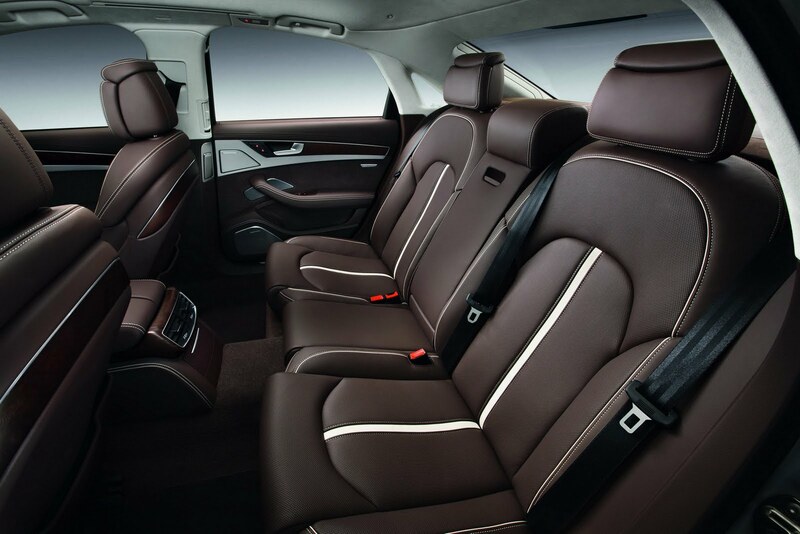 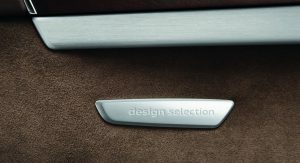 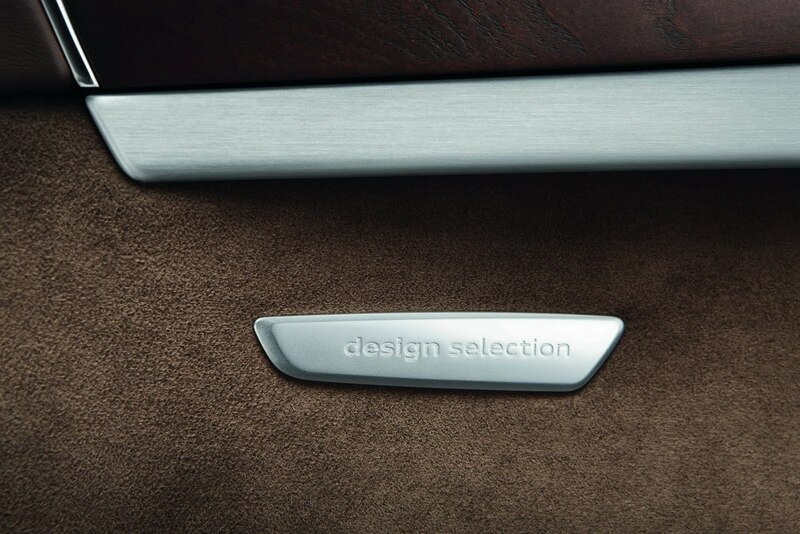 Based on the standard W12 LWB version of Audi’s flagship sedan, it features Poltrona Frau leather in the interior, wood olive ash inlays used liberally throughout the cabin and special “Audi exclusive concept” logos. 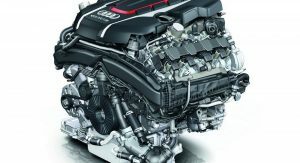 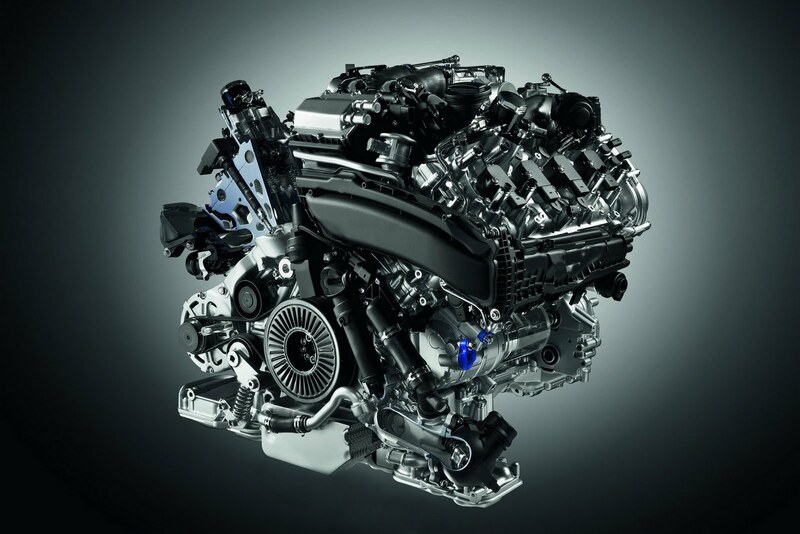 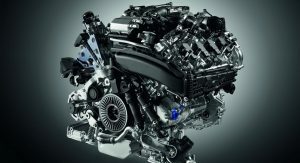 Finally, Audi presented the new 4.0-liter twin-turbocharged V8 engine that will power, in slightly different configurations, the S6 sedan and Avant, the S7 Sportback and the S8. 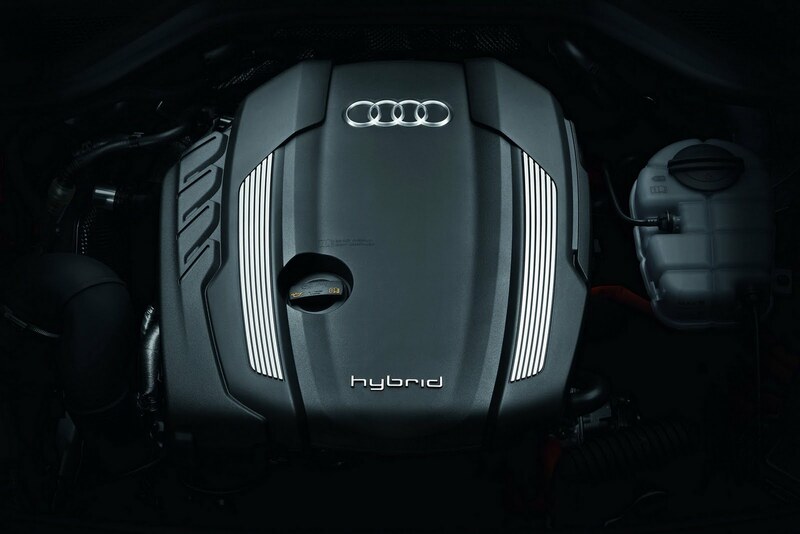 Depending on the configuration, its maximum output ranges between 420 and 520 HP and its maximum torque reaches up to 650 Nm (479.4 lb-ft). 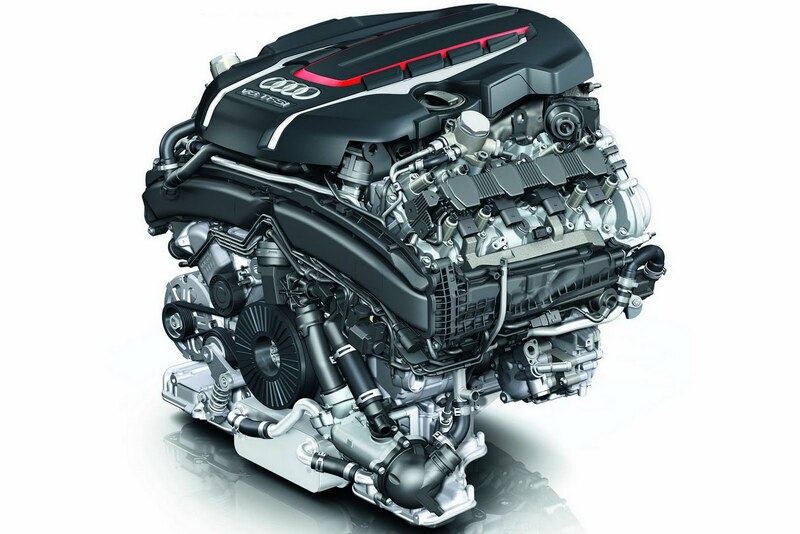 The 4.0 TFSI is very light and compact and features direct injection and two twin-scroll turbochargers located on the inside, rather than on the outside as is the usual practice, of the cylinder banks’ 90-degrees V.
It also has a cylinder deactivation system as standard, which in low to medium loads shuts down two cylinders reducing fuel consumption and CO2 emissions and, when necessary, reactivates them without the driver noticing anything.